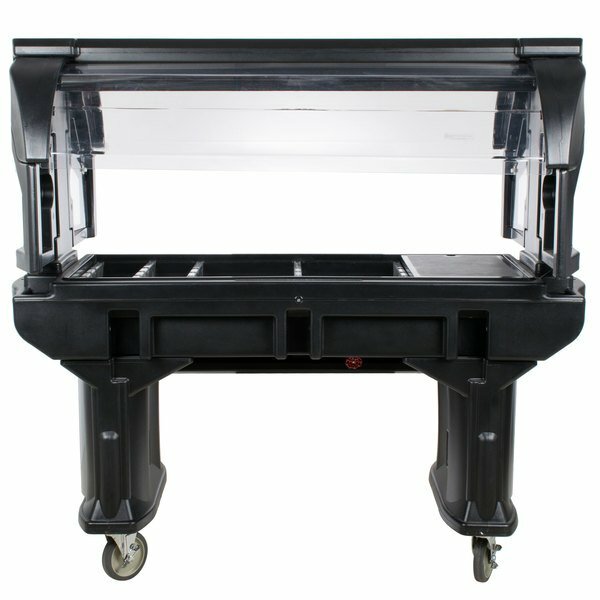 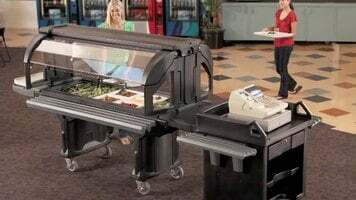 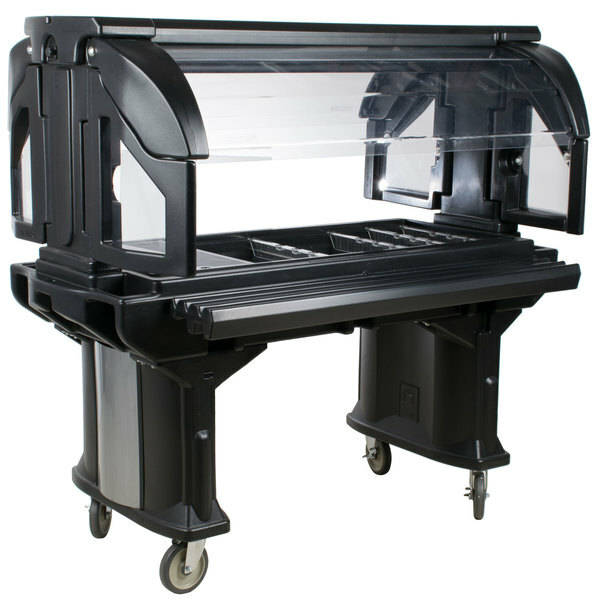 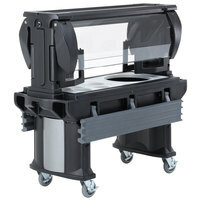 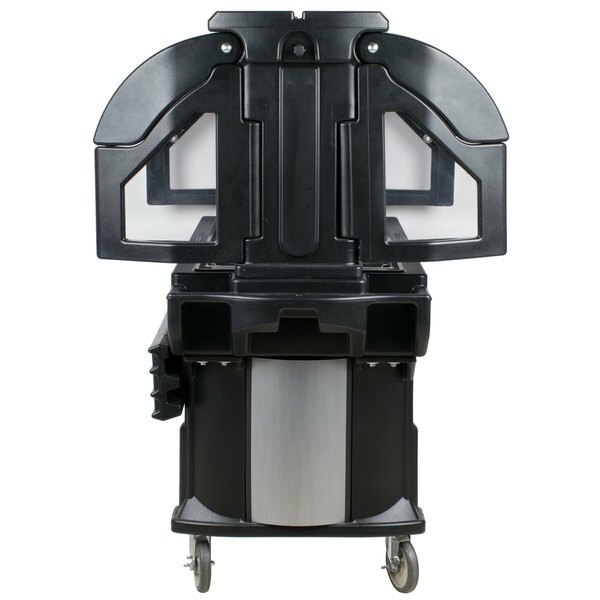 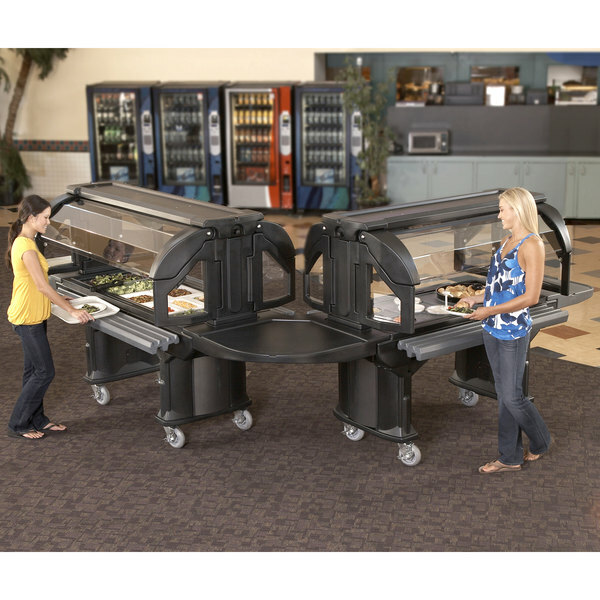 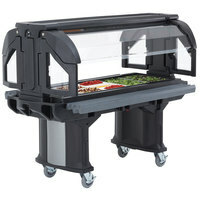 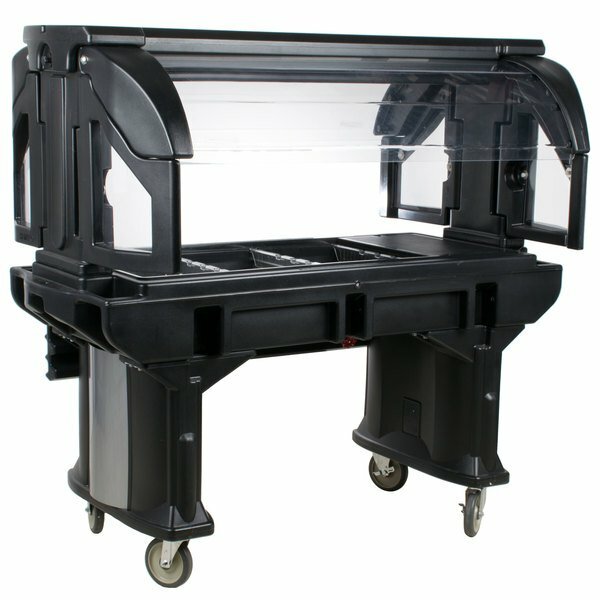 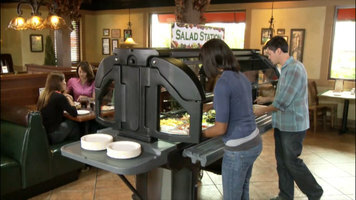 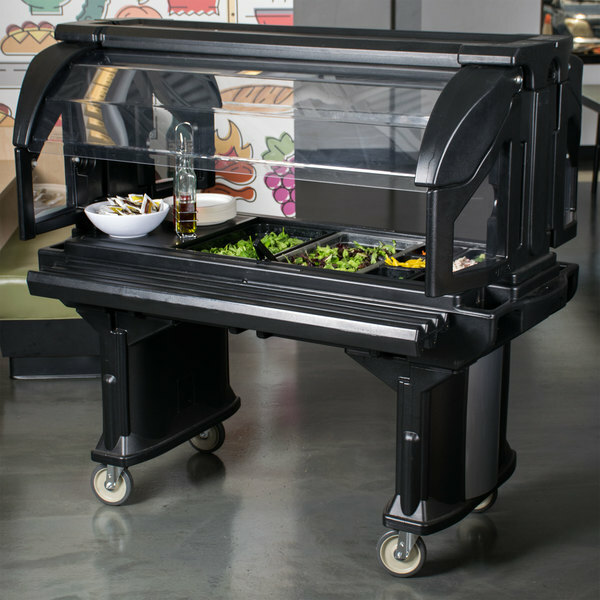 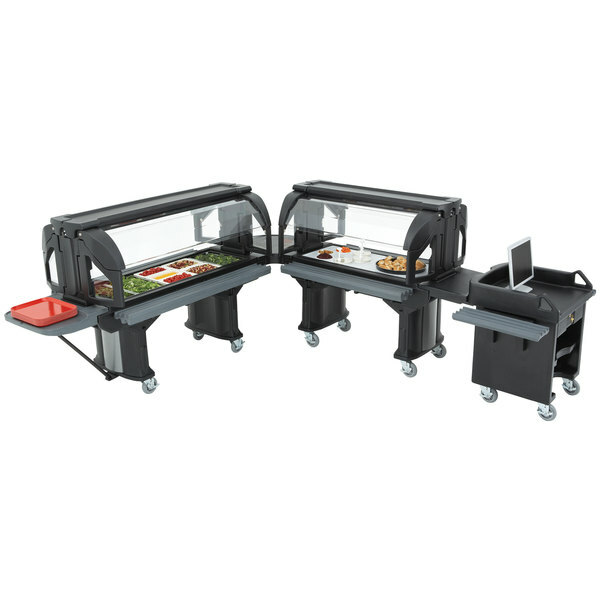 Streamline your buffet with this Cambro VBR5110 black 5' Versa food / salad bar with standard casters! 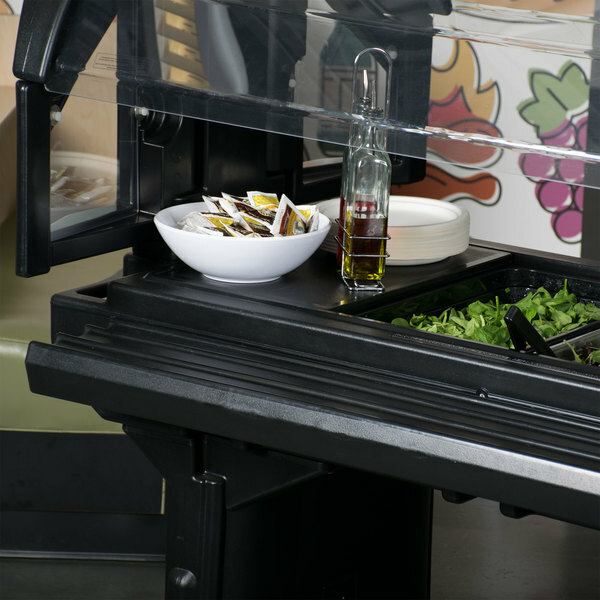 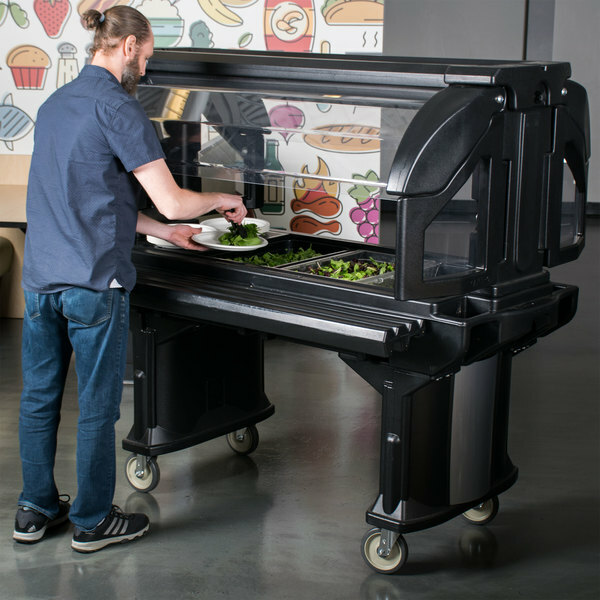 With a growing importance on ensuring there is always a healthy food option in cafeterias, the Cambro Versa food / salad bar provides an all-in-one solution that comes in a stylish package. 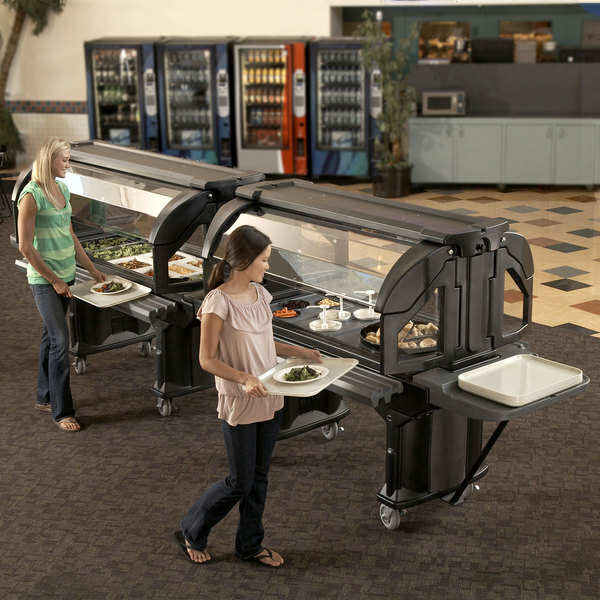 This fully-portable, non-electrical food bar is designed for self-service applications and is easy to assemble in a matter of minutes. 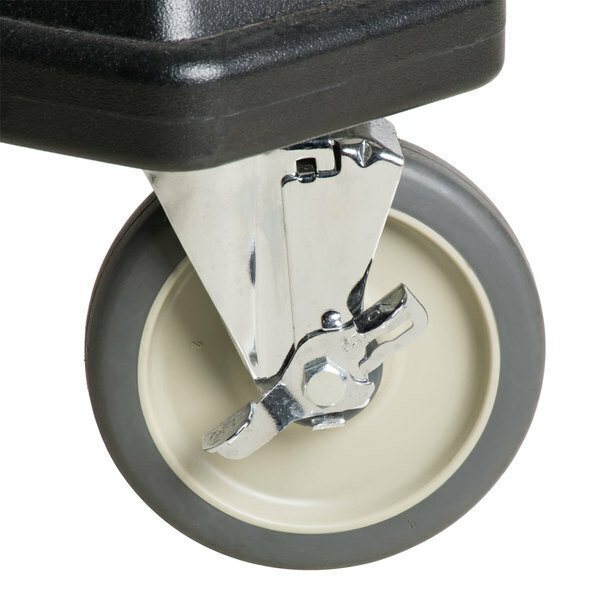 This unit includes (4) standard 6" casters with brakes for increased durability and ease of transport throughout your facility. 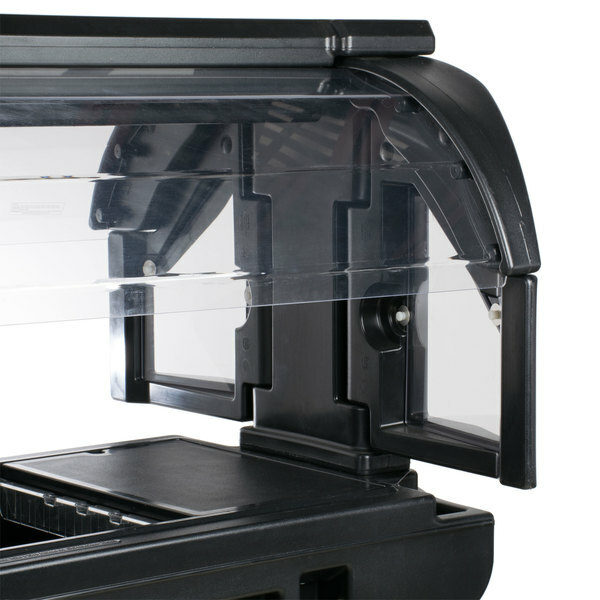 The sneeze guards on both sides lift up and knock down to a narrow 32 1/2" width in only 30 seconds, allowing it to effortlessly fit through a standard 3' doorway for easy storage and set-up. 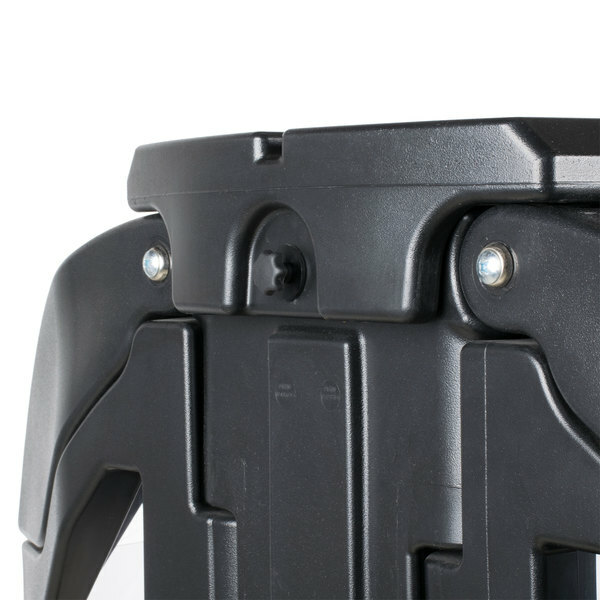 Ergonomic, molded-in handles on both sides to ensure easy maneuvering. 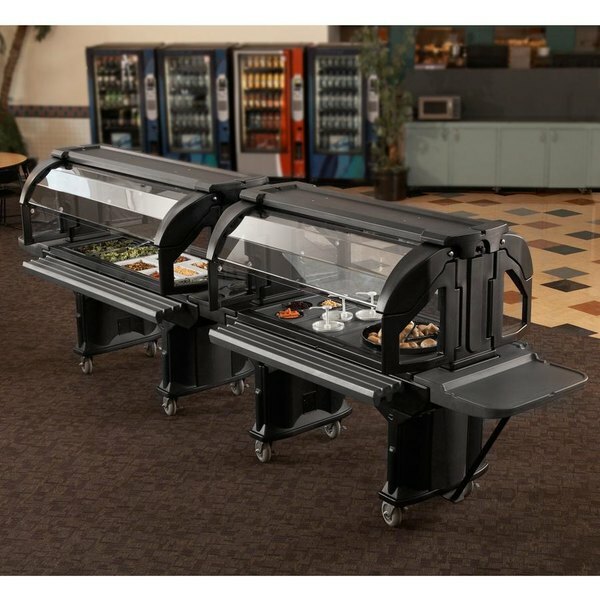 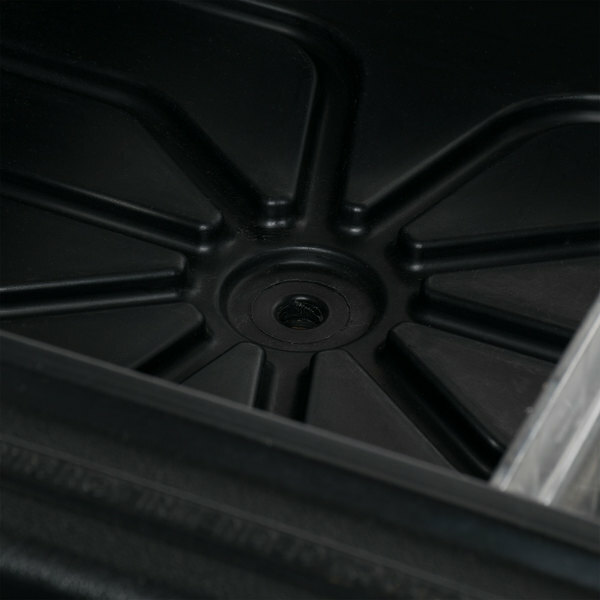 Built-in and included sneeze guards keep your foods protected from airborne contaminants, yet allow your patrons easy access to your offerings. This unit also features a durable all-weather design, meaning you can even use it outdoors! 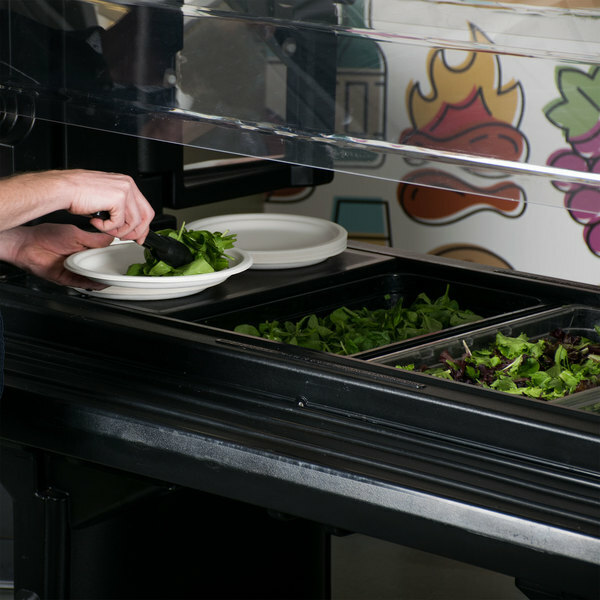 Whether looking to accommodate frequent menu changes or to maximize space at your school, university, or other food service establishment, this food bar offers unmatched versatility for all of you needs! 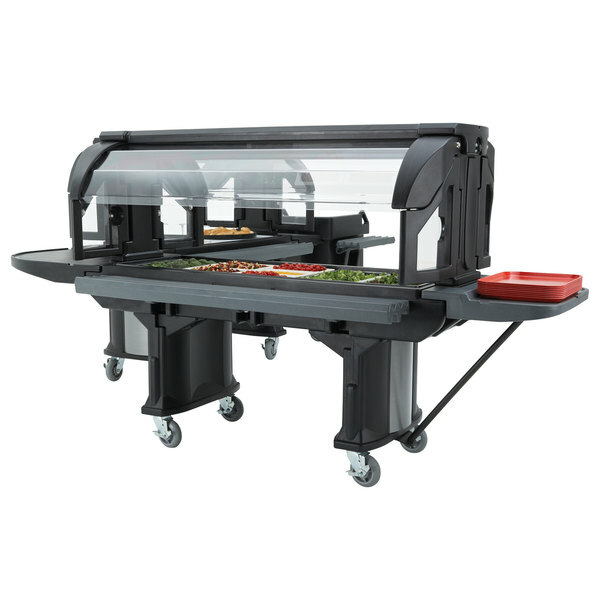 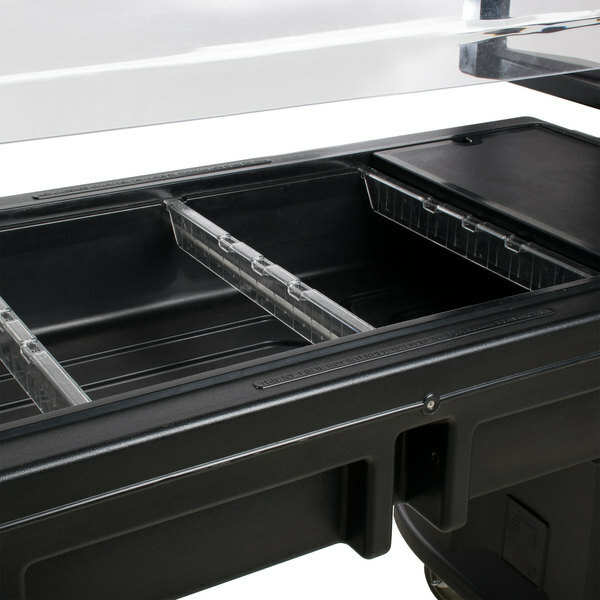 With the ability to hold up to 4 full size food pans, there's plenty of room for your best and freshest offerings!